No doubt, Osun people are bothered, bugged, irked for the way the state is being ruled under the unfriendly and salamic administration of Aregbesola. The seven and have years reign of Aregbesola has unarguably plunged the state into huge debt with an increased rate of state's borrow, but with abandoned projects in the state. Aregbesola has took loans on projects that are grandiose and without direct impact on the lives of the people, federal roads and flyovers that hardly got off the drawing board, airports construction that has been left abandoned. (1) N6.5b Ido-Osun Airport. Today, not a metre of the runway has been tarred. (2) The half a Billion naira Olajokun Parks and Garden at Gbongan junction has not generated a kobo to the State coffer since 2013 that was commissioned. (3) Osun O’Reap, an agricultural program sponsored by world Bank and Federal government to increase agricultural products with nothing to show for it at Dagbolu and the failed farm settlements scattered across the 30 local governments and the Area Office in the State. (4) Digitalization of Education code named Opon Imo which gulped well over N8 billion Naira which contract was given to the first son of the governor, Mr. Kabir Aregbesola with nothing to show for it. (5) Unifying school uniform program which was principally proposed to favour the wife of the governor who is a tailor by profession at whopping some of N5,000 and N3,500 for secondary and elementary school students respectively, also in shambles till date. (6) Before Aregbesola became the governor of Osun State a kilometre of road was tarred far well below N400m but it jumped to a minimum of N1.2b to N1.4b per kilometre. (7) The old Governor’s office was demolished and an untrained modern market was constructed, traders were given papers to tender for shop allocation at exorbitant prices for 99 years and after receiving money from the willing traders, he changed their tenancy to 25 years and now to an annual rent with instructions that they have to reapply if they are willing to retain their rents of the lockup shops in the market. (8) The Ejigbo water project is still there and have remained abandoned. (9) The land belonging to Osun state government on Sobo Arobiodu Street in Ikeja GRA has been sold to Aregbesola and his cronies at ridiculous give-away prices. (10) Outright sales of other public properties and government owned lands is endless. Farm settlements have been sold to Lagosians. The Agricultural Development Corporation office near the government House which also houses the Teaching Service Commission, TESCOM, Ilobu road has been sold, also to an unnamed Lagos politician God-father of Aregbesola recently and a massive building construction is ongoing on it with an access road sprawling from the NNPC, Ring Road. 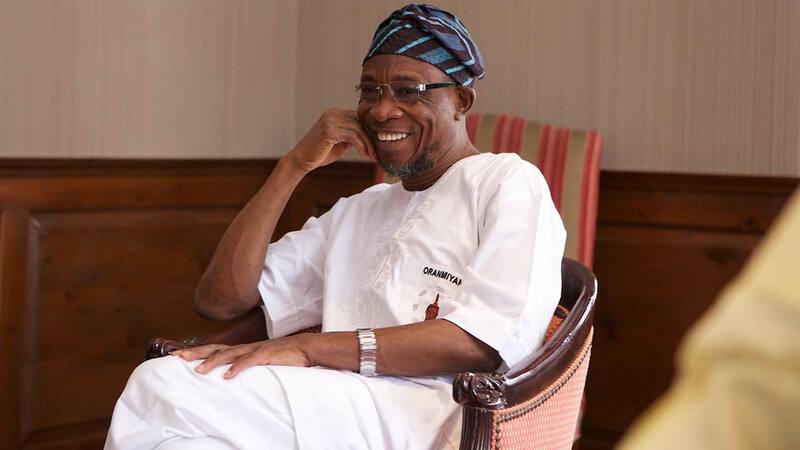 The escapade of Aregbesola’s scam game on Osun state and her people is endless. As the date to elect a new Governor for our dear Osun State draws nearer, It is hoped that Osun State people will wake up from their slumber and vote this kleptomaniac(APC) out of power so that some of this pilfering can be reversed by the new administration that will not be a stooge of the Lagos marauders.